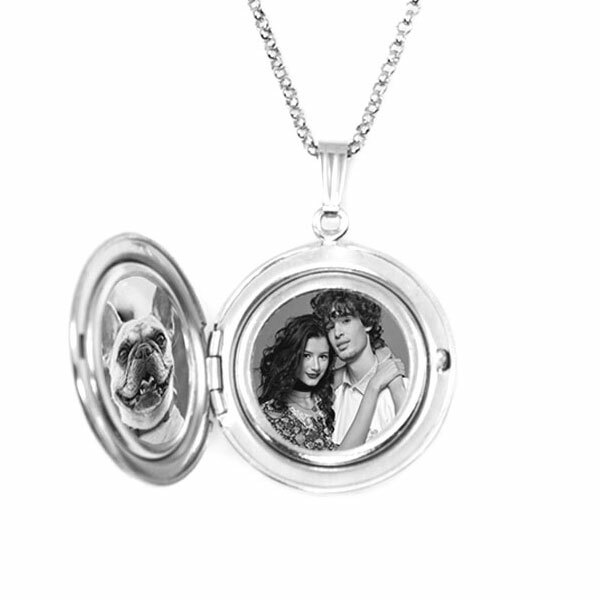 This sterling round locket is complimented by a beautiful diamond on its front. 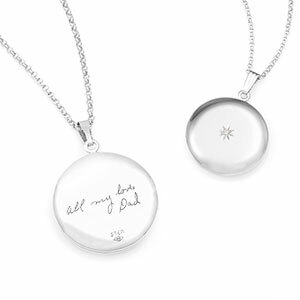 Select this engraved locket to be personalized with a handwriting message on its back side. Send your handwriting message to logo@thoughtful-impressions.com. Be sure that your image of your message is well-lit and focused. Holds two 5/8 inch photos. Photo secured by plastic insert and snap-in protector frame. Engrave a special message on back. Comes with 20 inch Rolo neck chain.